Are you excited about the Black Lexus IS250? If yes, then you are in the right place. The complete black color and exciting design of this car make it an absolute people’s choice. We’re still gazing at the beauty of this car. 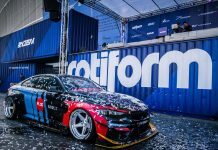 As you can see in the pictures, this car has the latest design and assembly. 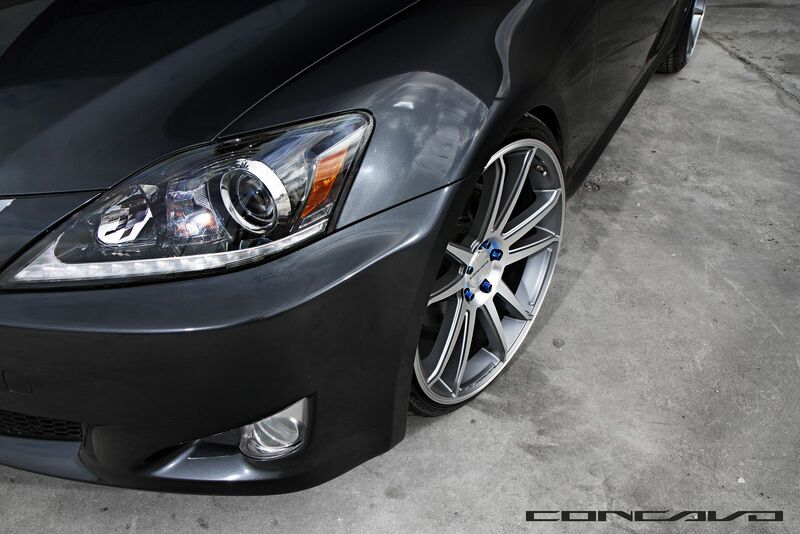 2013 Lexus Is250 Lowered On Concavo CW-S5 20×9 And 20×10.5 Matte Grey Machined Face. It is finished in an intense Matte-Grey, which includes machined accents across the diameter of the lip and the face of spokes. Such coloring gives the car an outstanding head-turning presentation. Enduring wheels also have a long-lasting clear-coat finish, which is tough enough to last against the dangers of day-to-day driving, such as pitting and road chips. 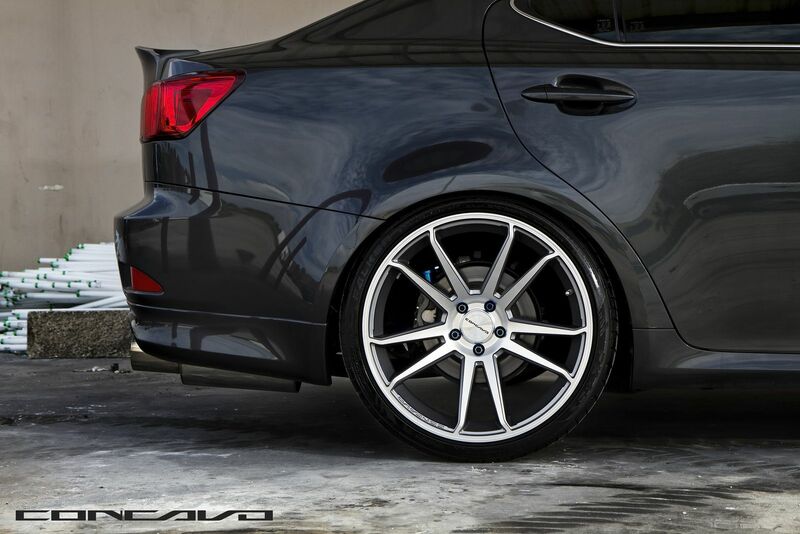 This Lexus IS250 is lowered on the Concavo CW-S5 wheels that add a special racing vibe to the automobile. This Concavo CWS5 comes with a powerful split 5 spoke design with the concaved face, which exaggerates profile of wheel to get a more intense appearance. Its overall design and performance can attract anyone whenever they take a look at this amazing car. Has its magic worked on you? Let us know what you think in the comment box below.